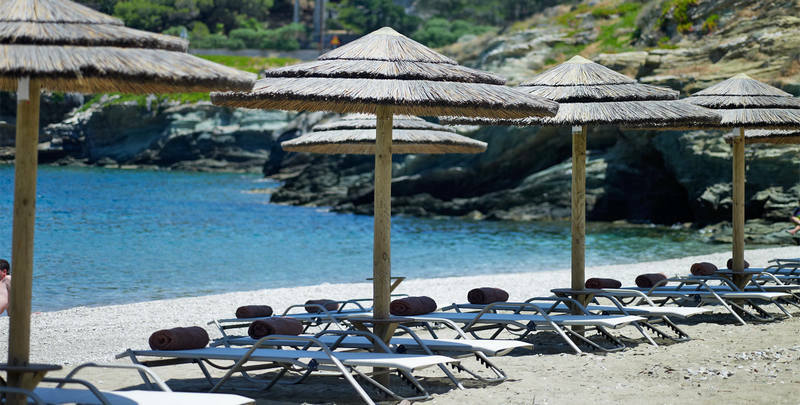 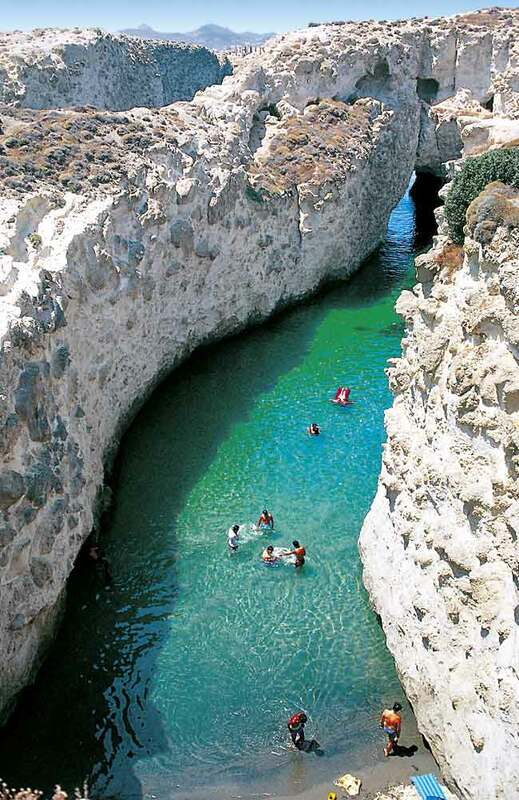 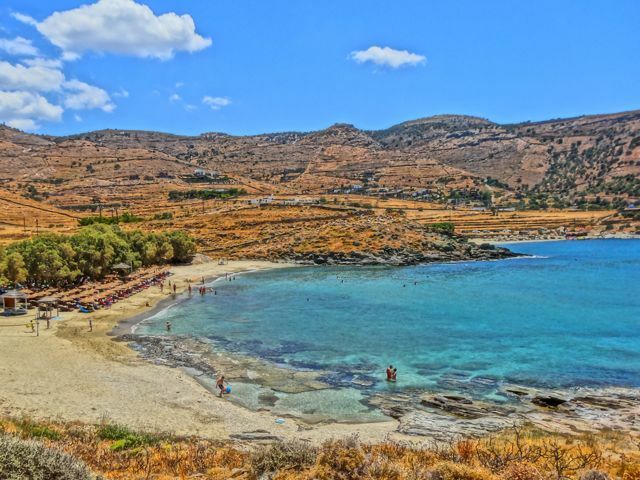 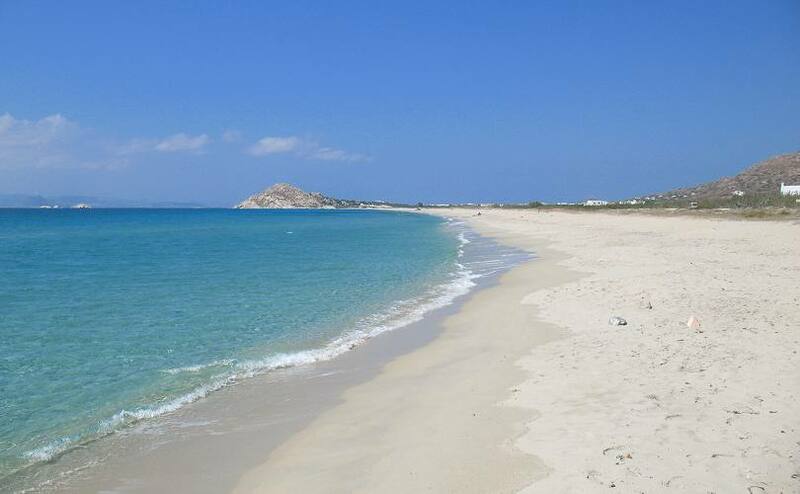 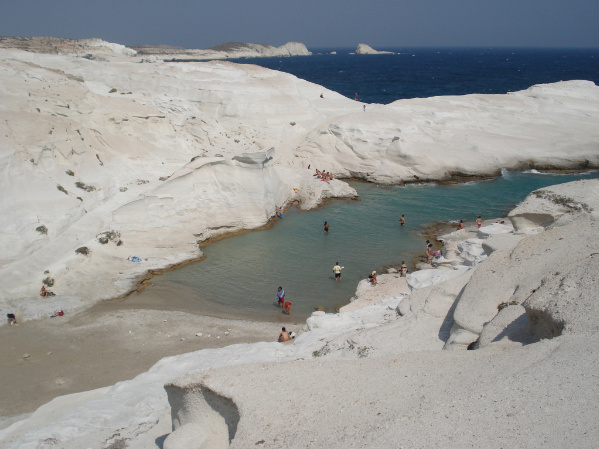 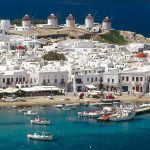 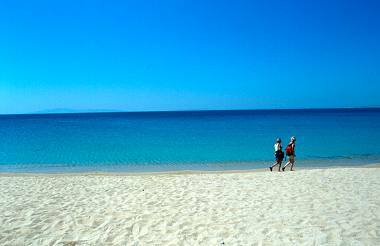 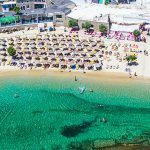 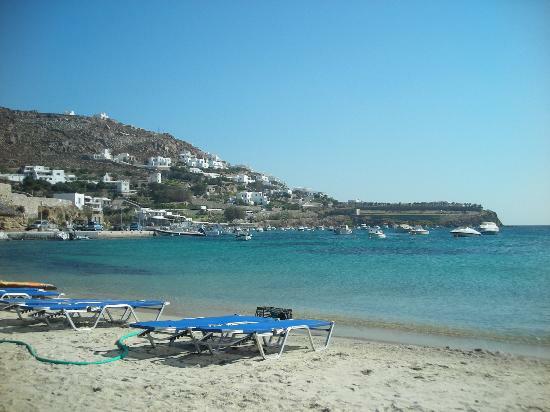 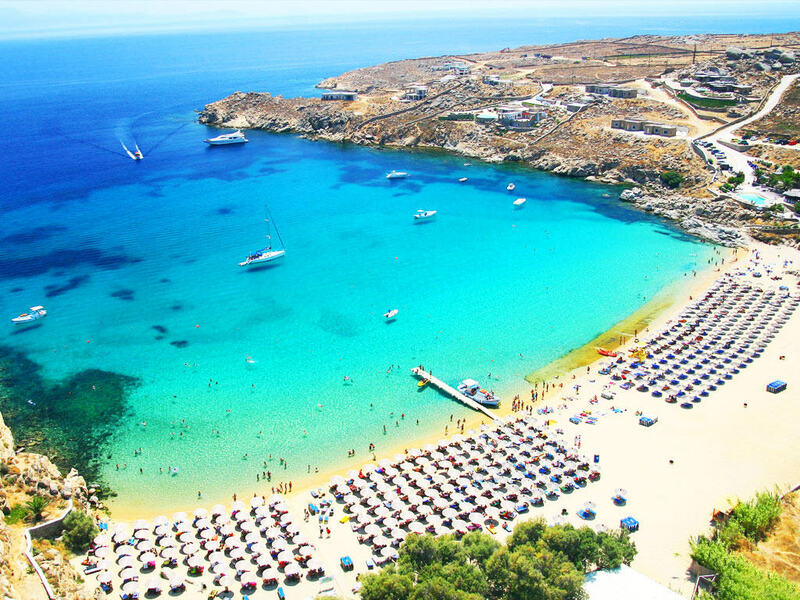 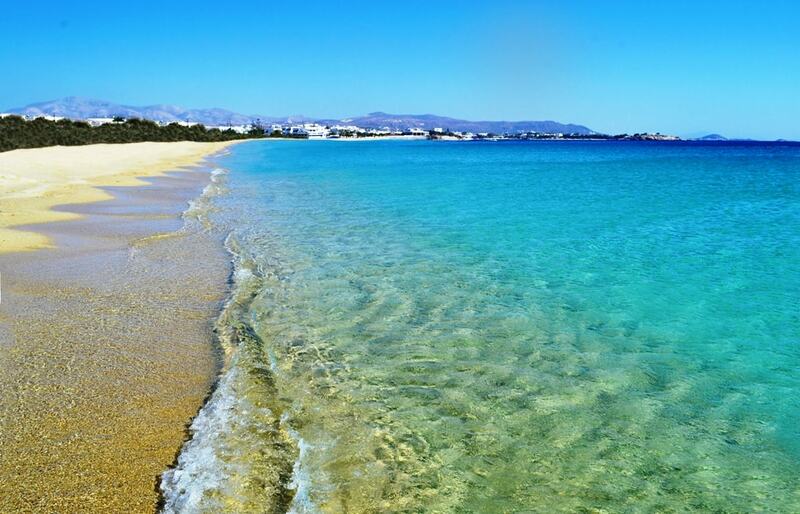 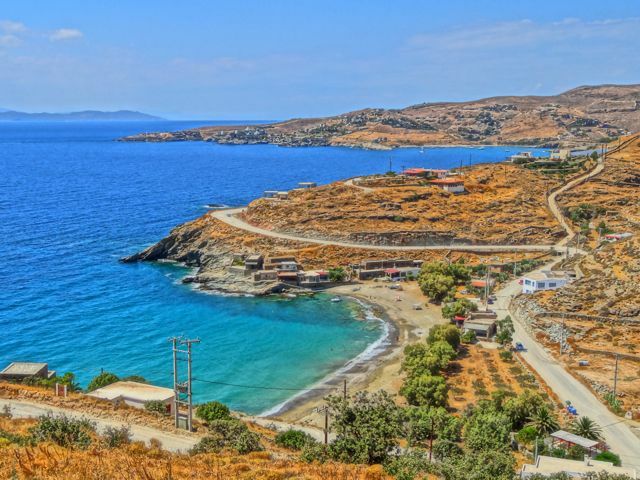 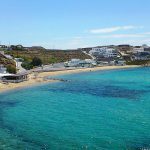 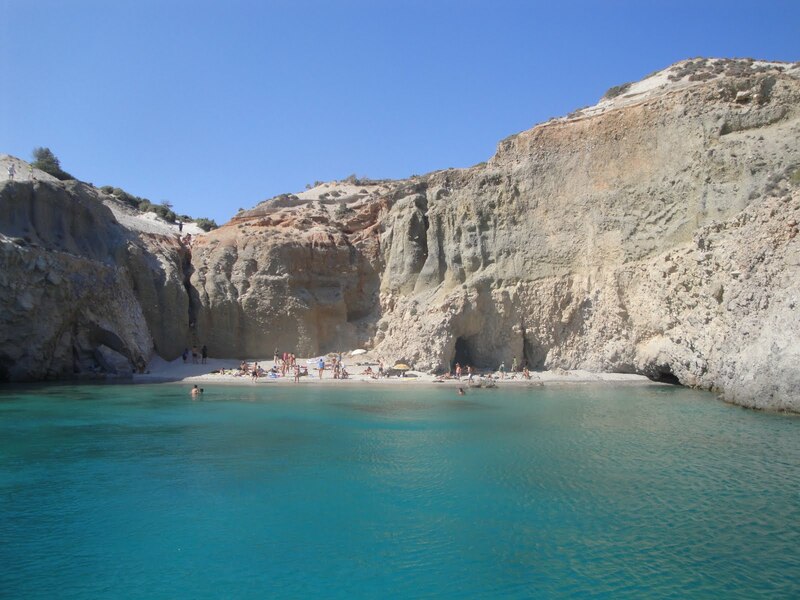 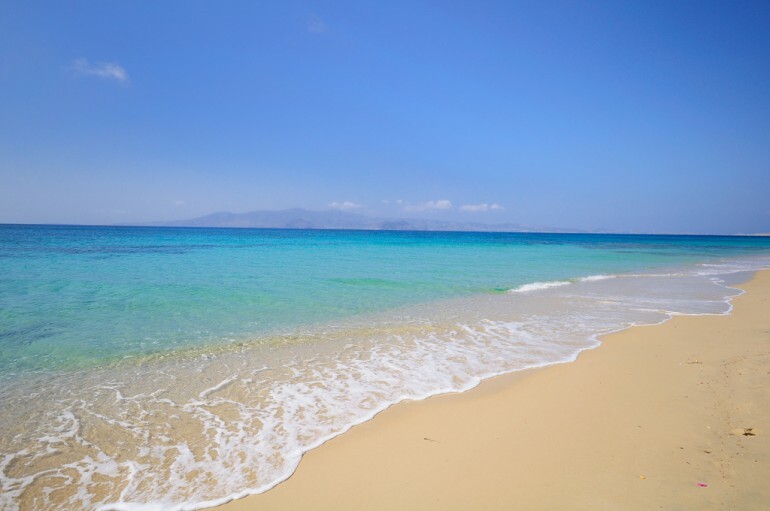 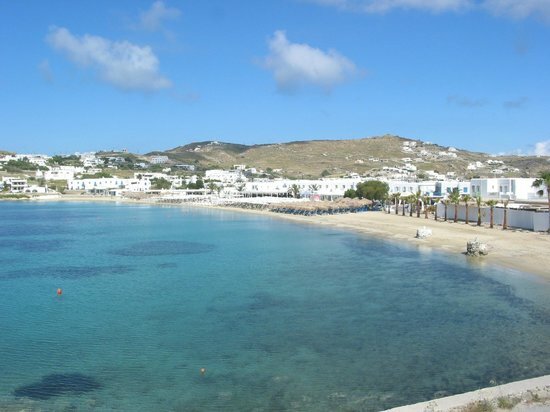 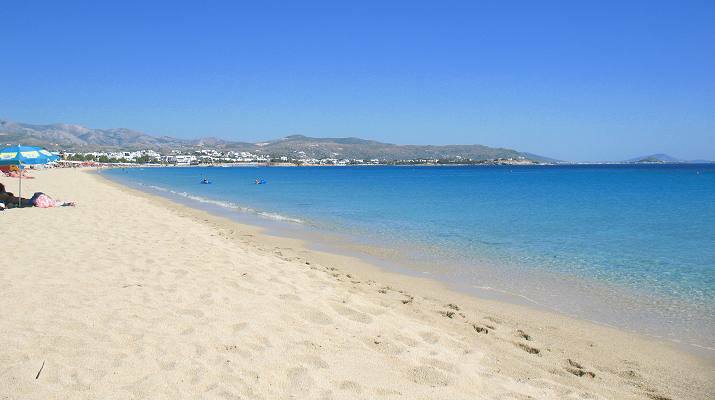 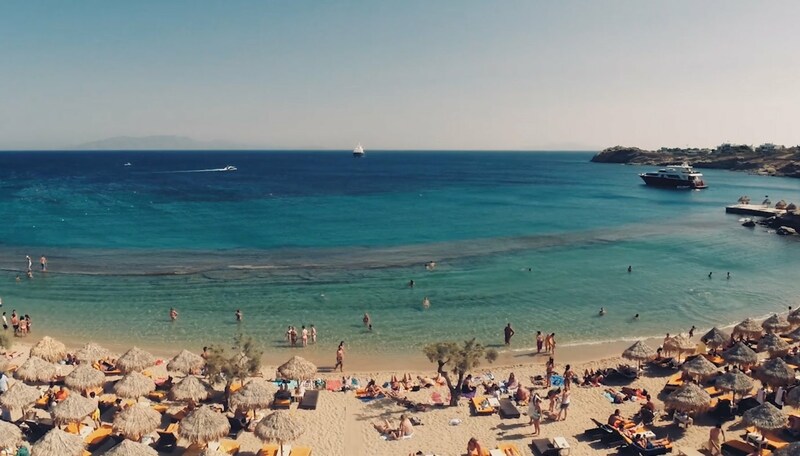 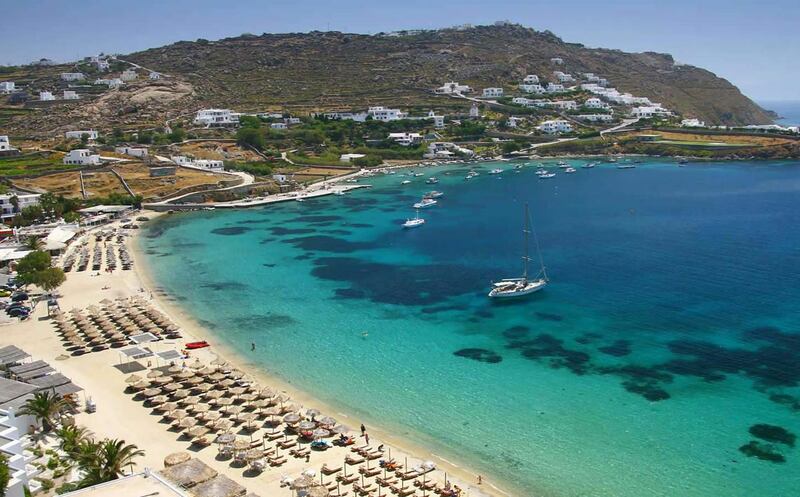 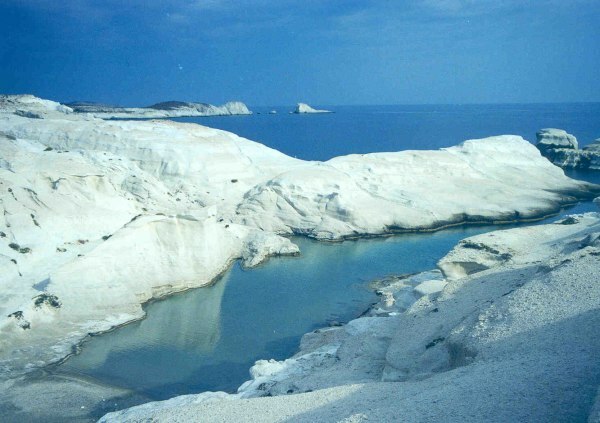 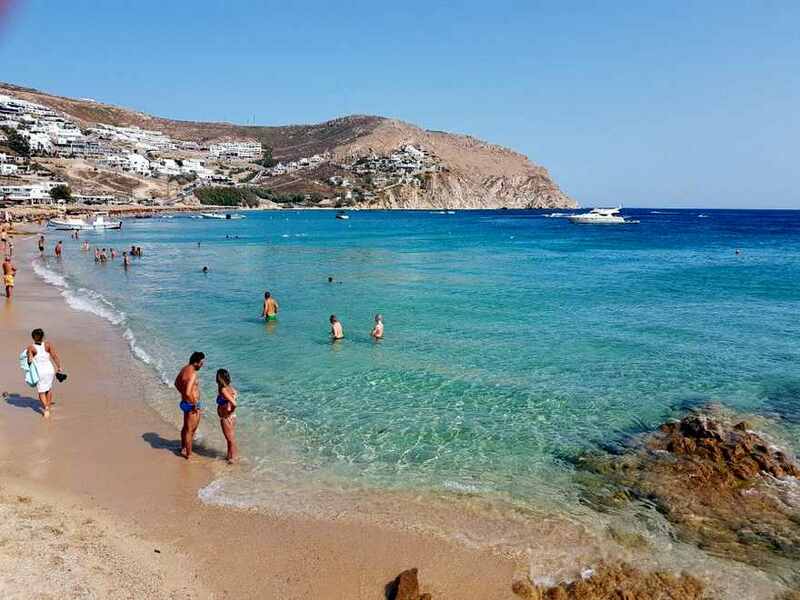 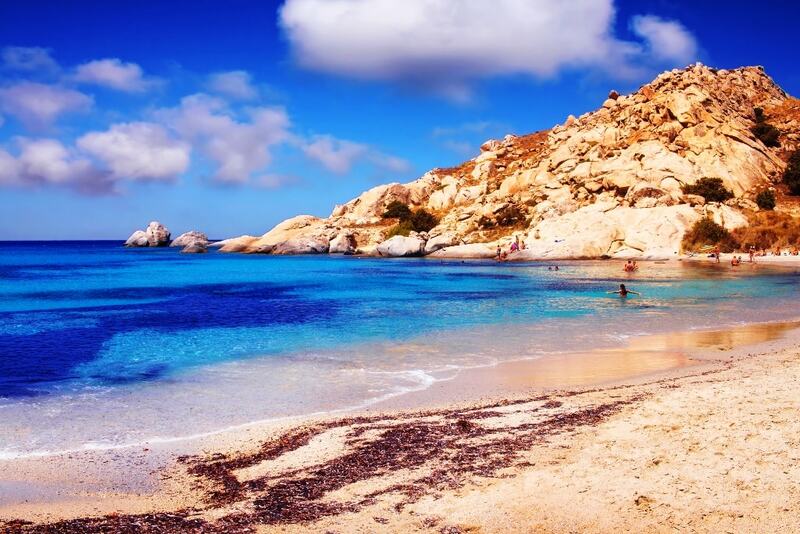 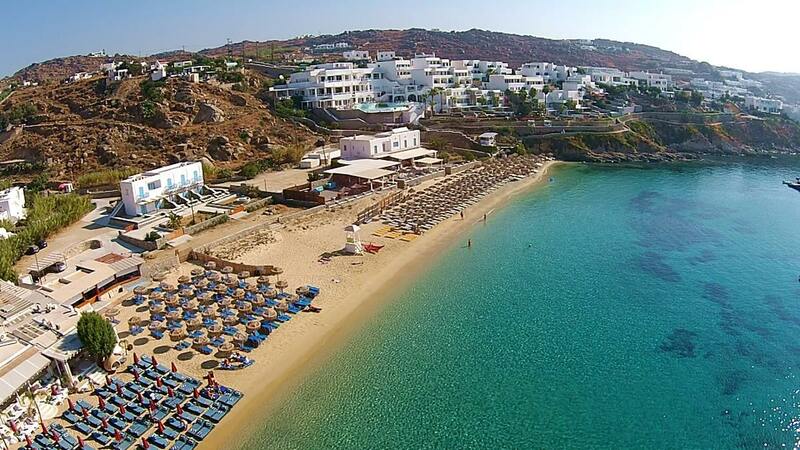 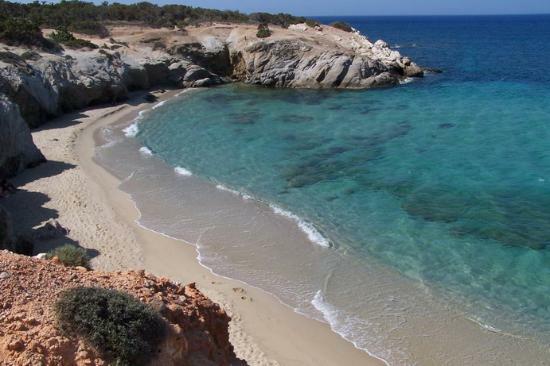 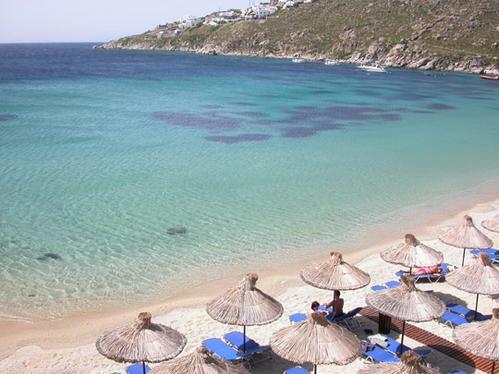 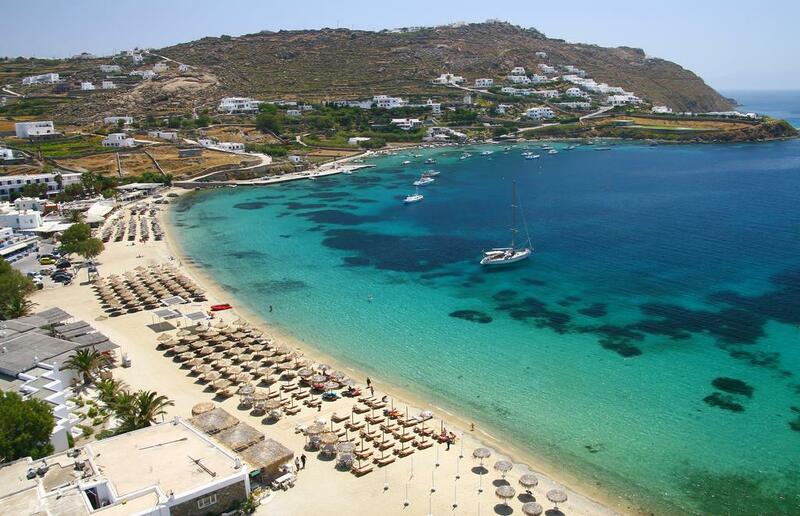 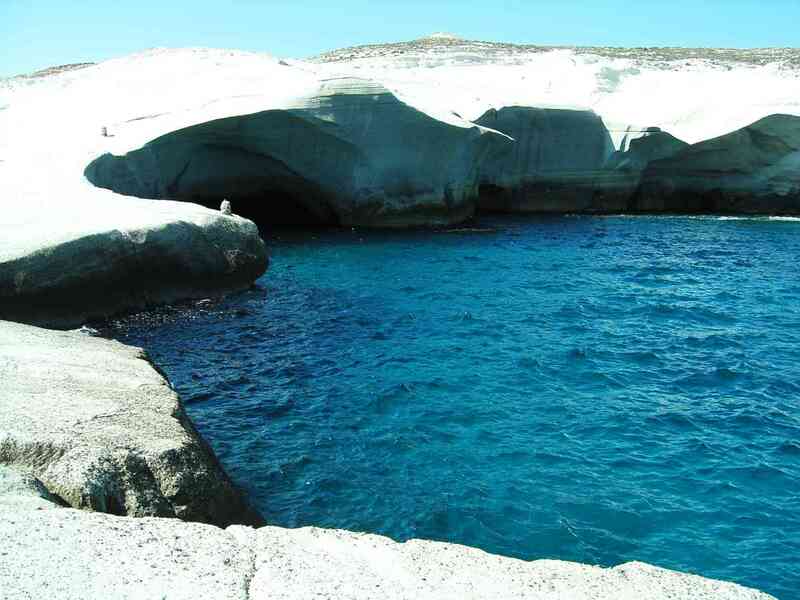 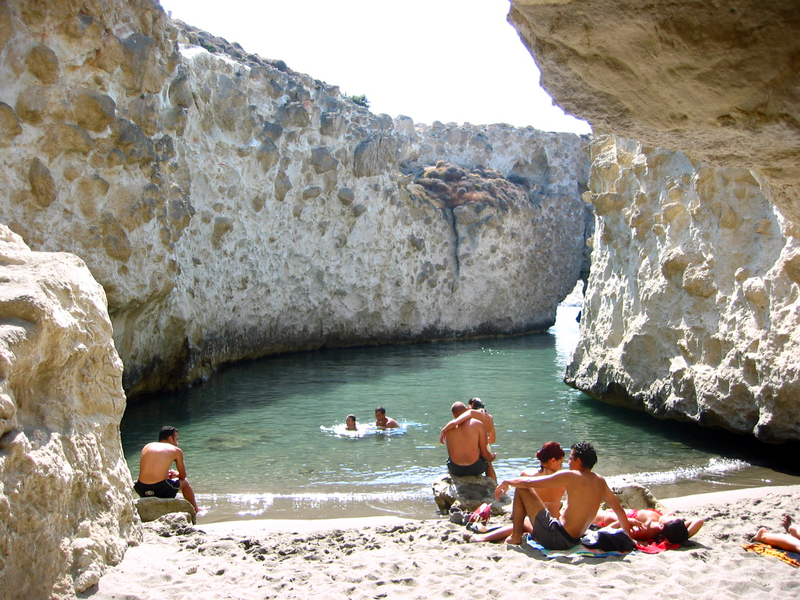 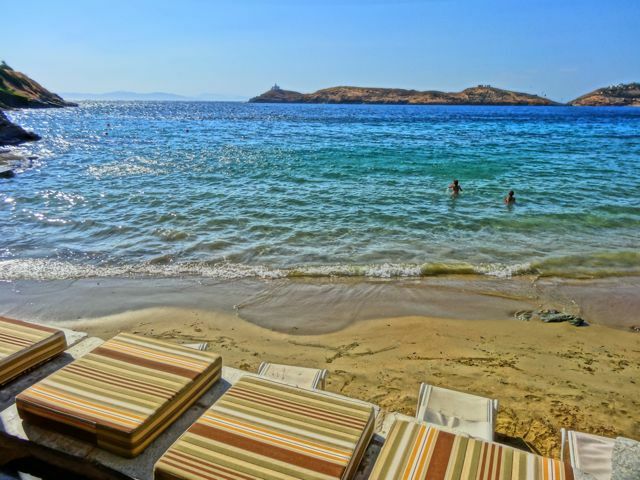 Ornos Beach Mykonos Greece is located on the south-west coast of Mykonos and it's about a 40 minute walk from Mykonos Town although most visitors arrive on the the regular daily buses or the frequent water taxis. 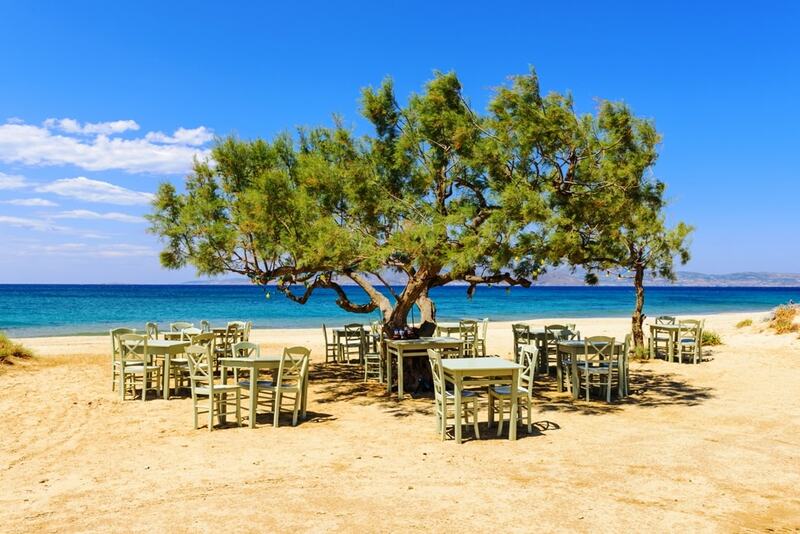 Ornos is in a beautiful location with an abundance of restaurants and cafes but this is not a beach for anyone looking for a quiet and relaxing day of sunbathing, despite the pictures in the brochures. 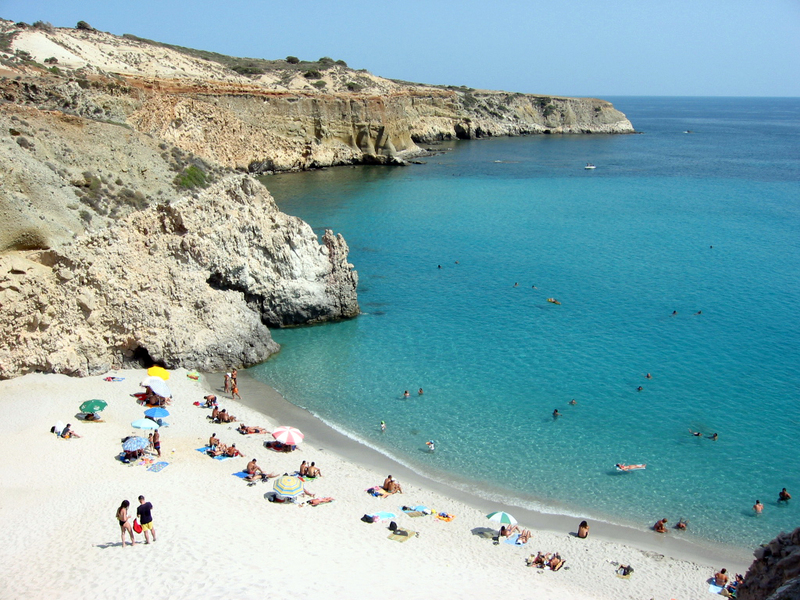 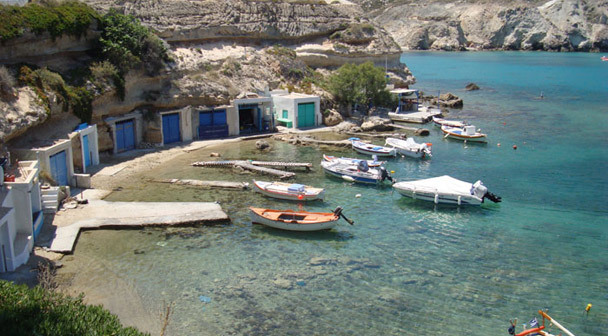 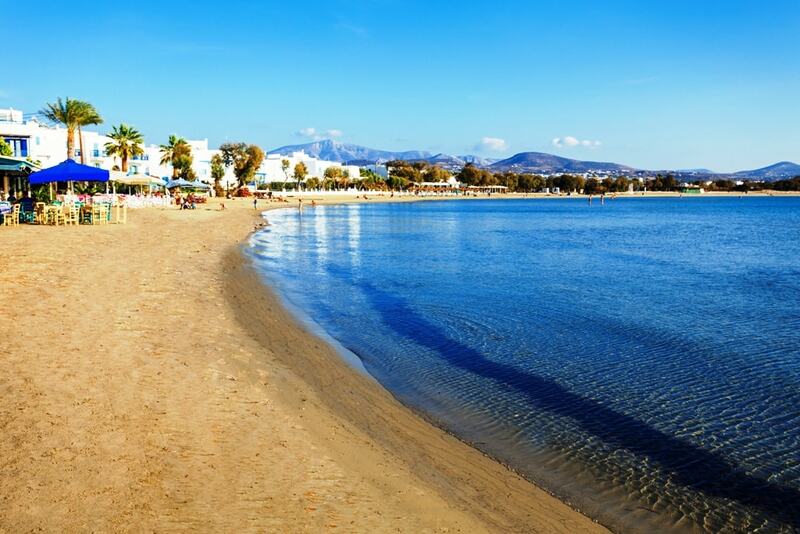 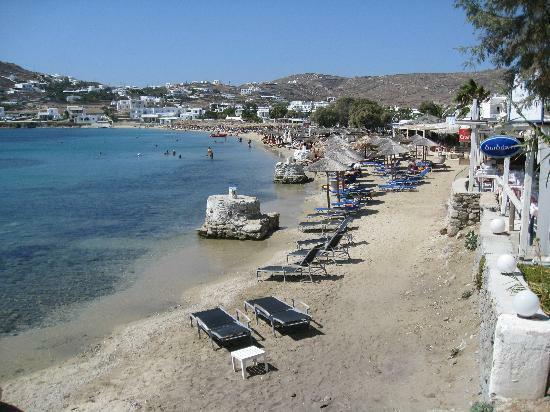 Ornos is a bustling beach, full of young people, families and tourists. 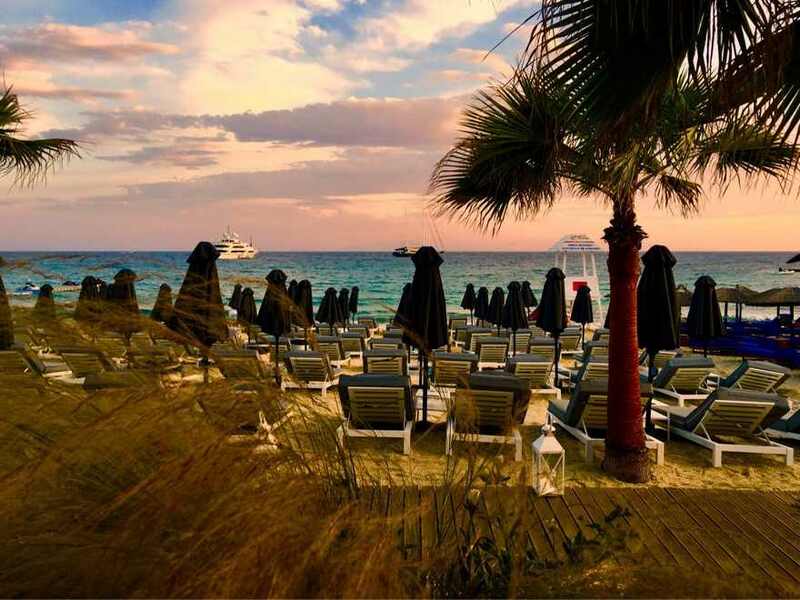 Very good organized with sunbeds, umbrellas, sofas, beanbag, restaurants and beach bars. 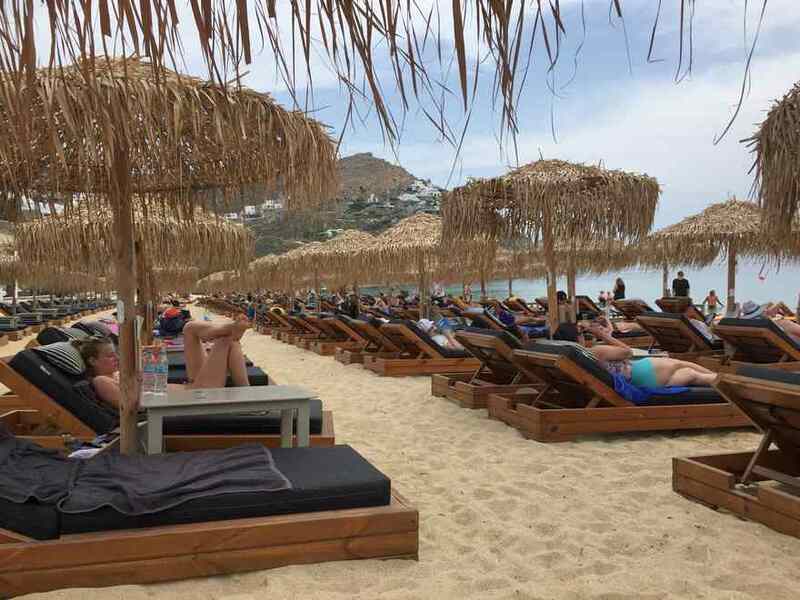 Sun loungers are jammed side by side and cover almost every inch of the sand but holiday visitors will need to get there early to bag a place as they soon get snapped up. 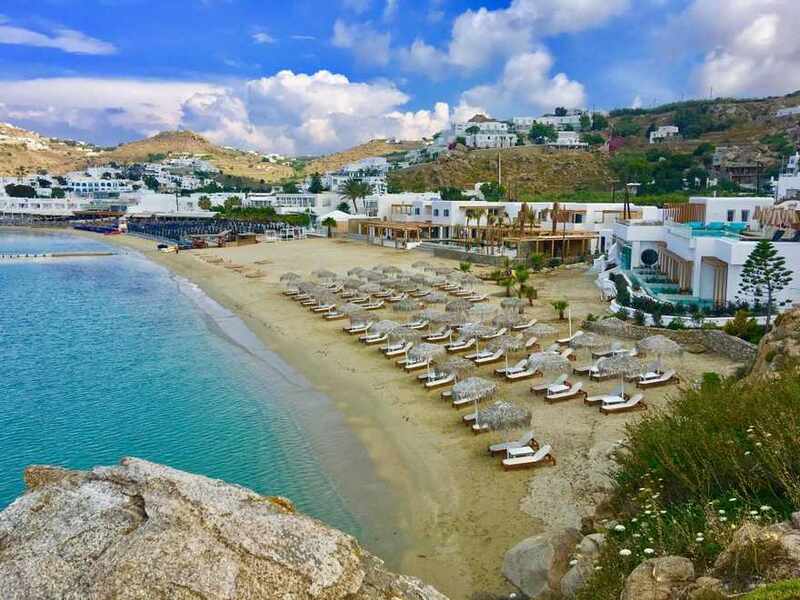 Loud music blasts from the waterfront beach bars and traders will pester visitors all day with pirated products and cheap souvenirs while quad bikes roar through the streets behind. 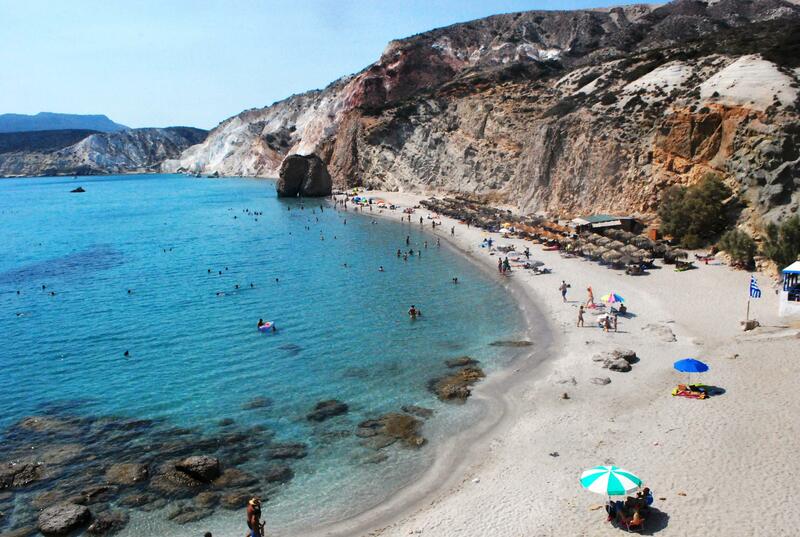 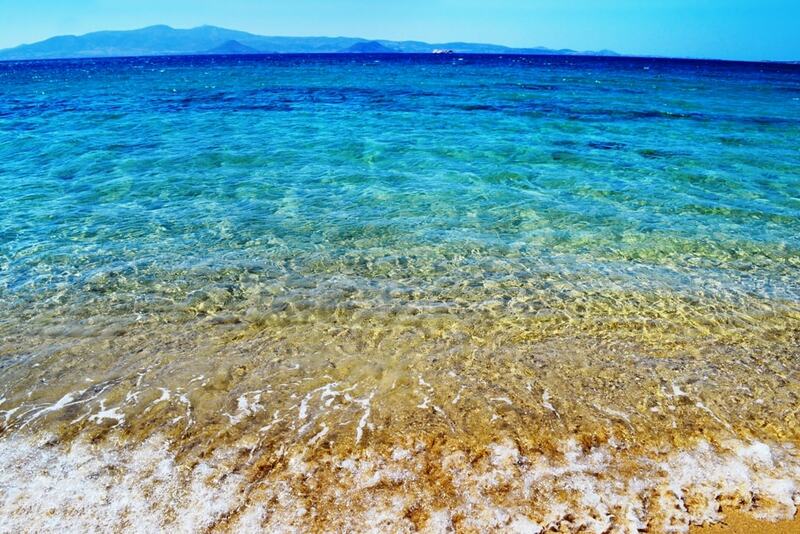 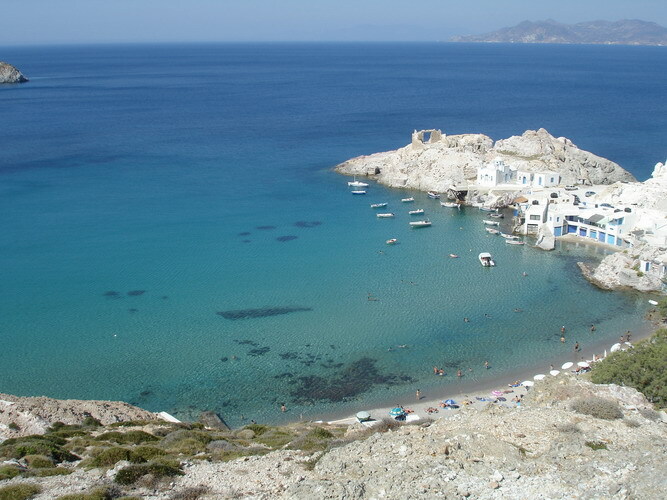 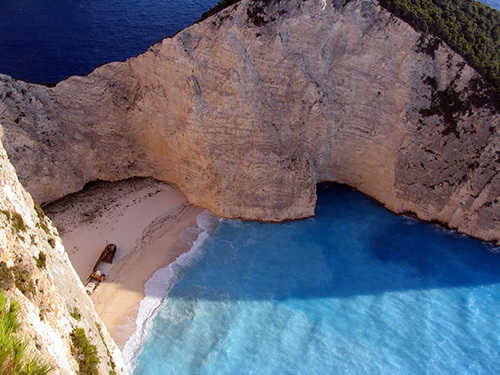 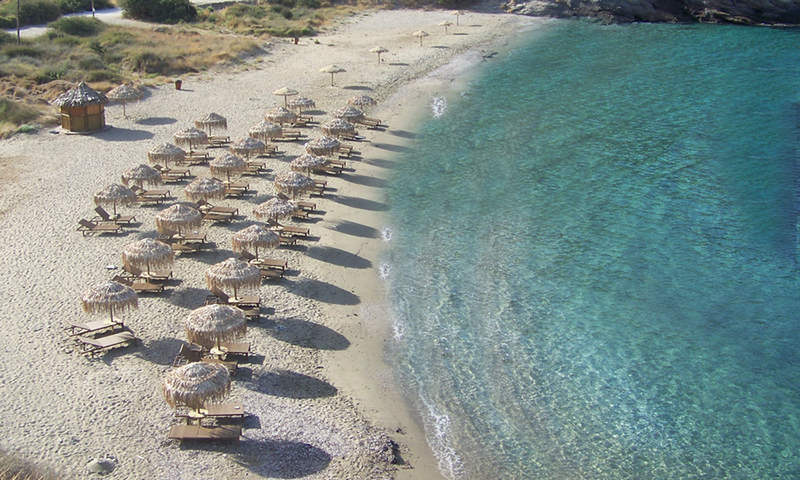 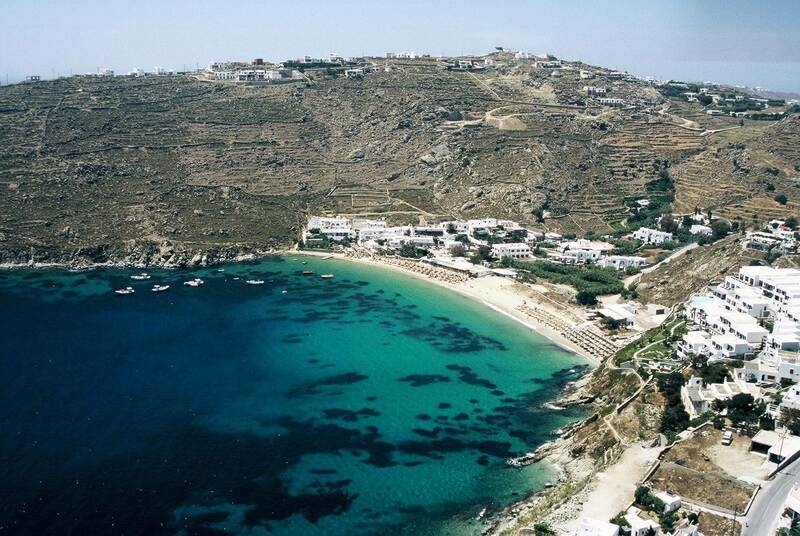 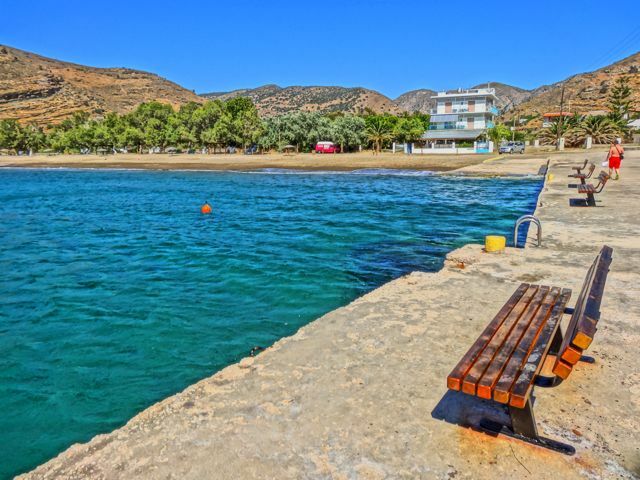 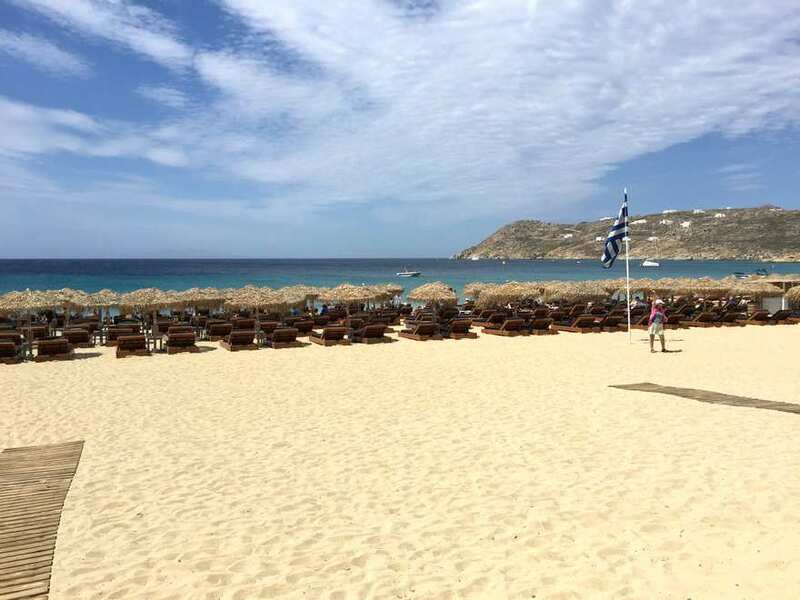 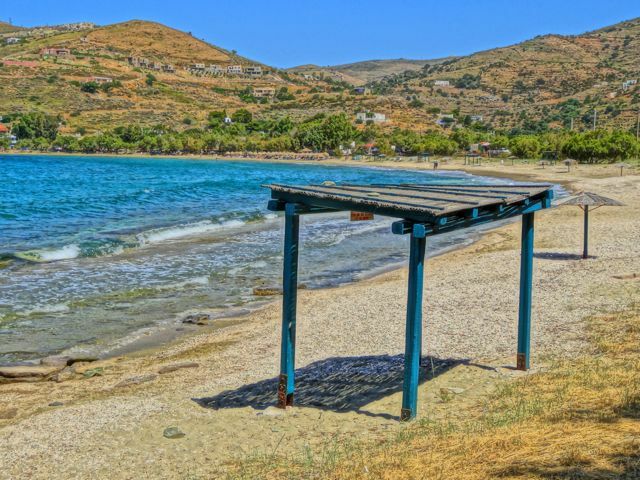 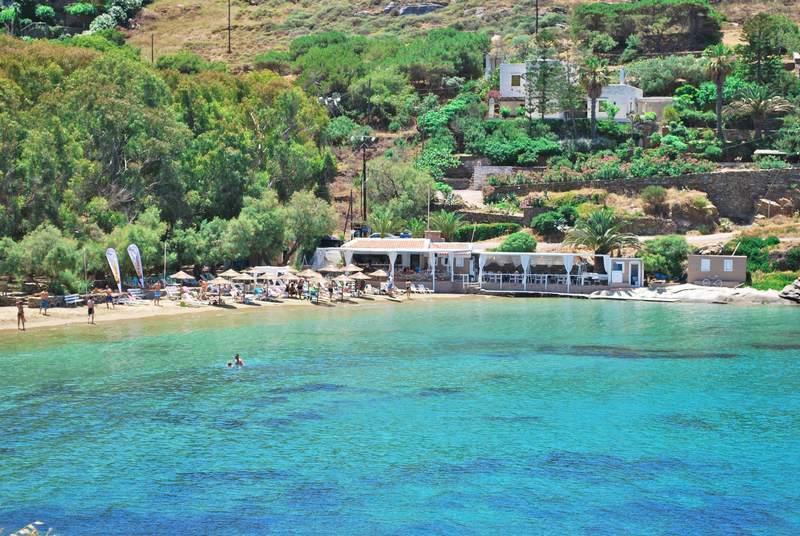 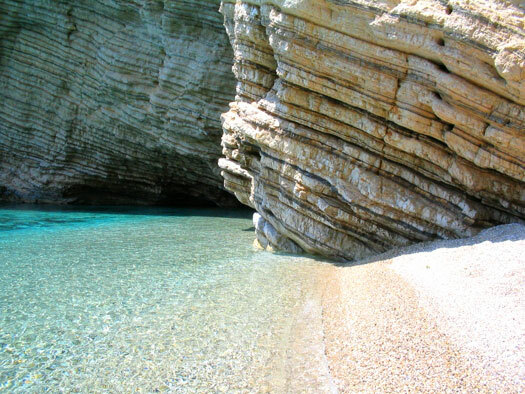 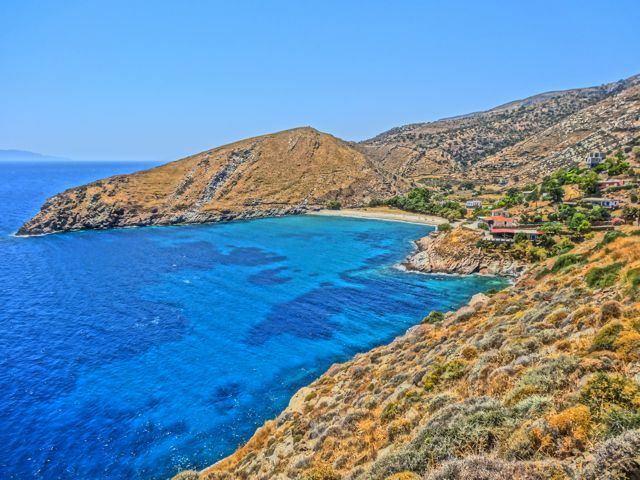 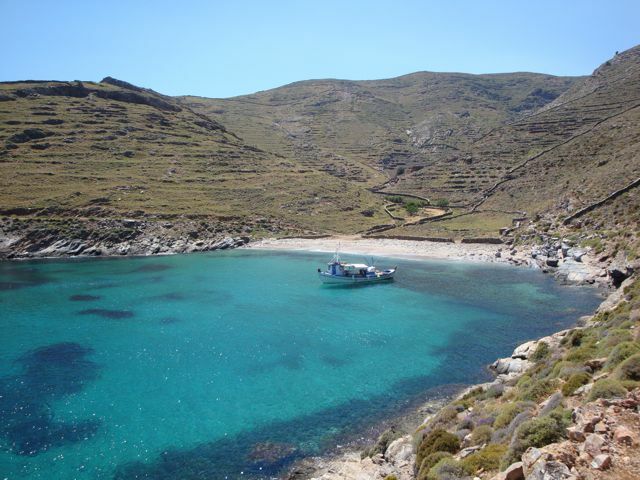 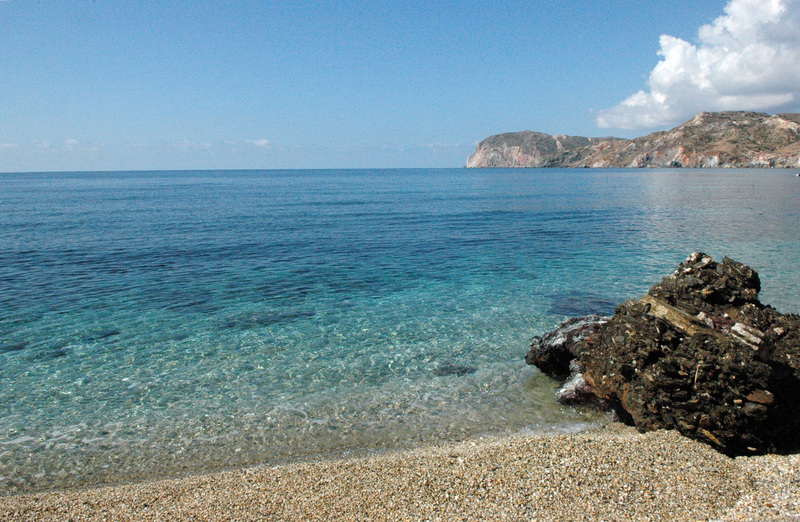 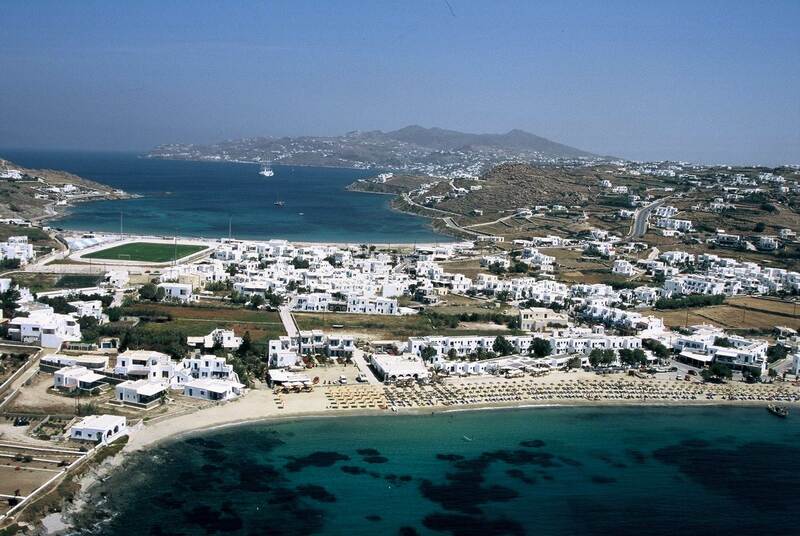 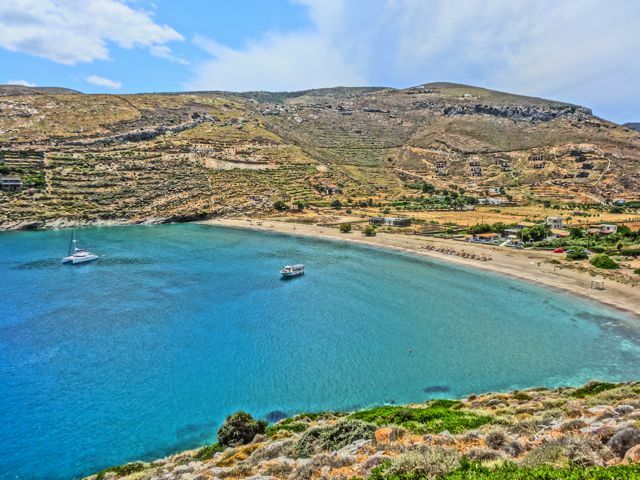 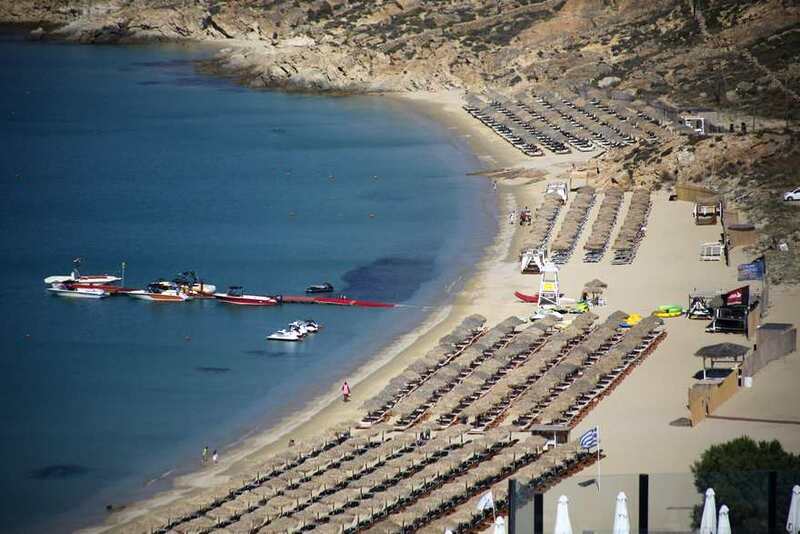 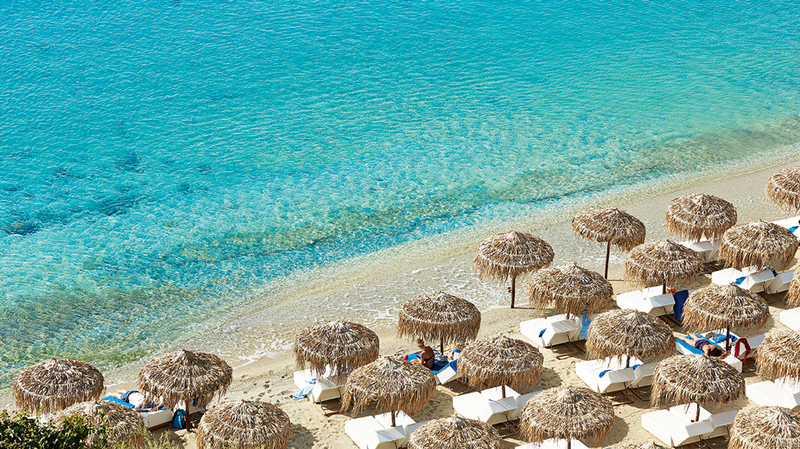 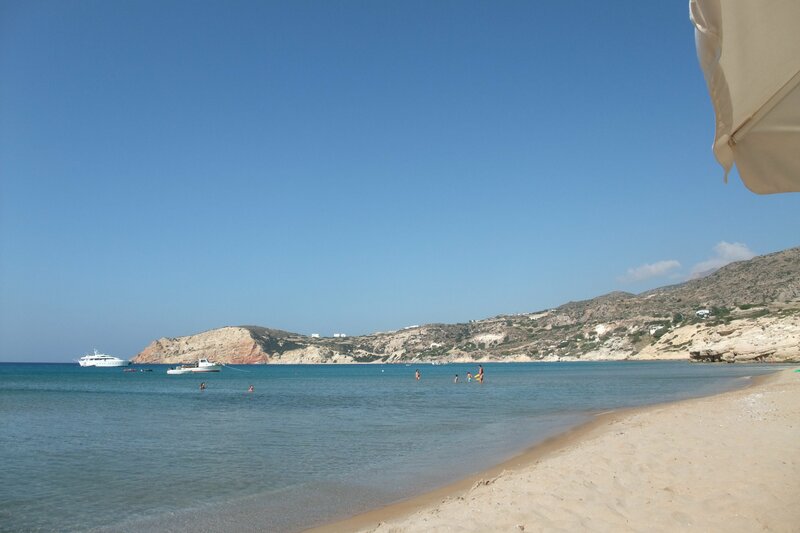 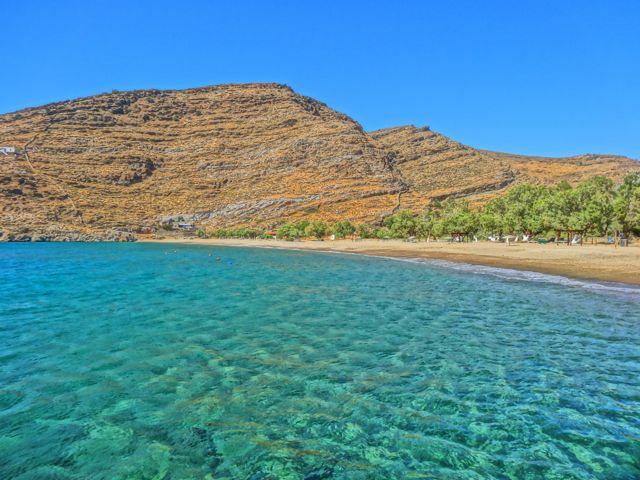 There are too many beach tavernas to count, some right along the shoreline and more in the resort. 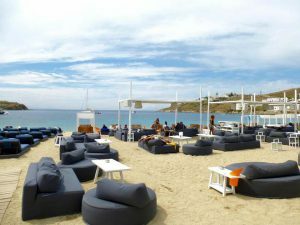 Most serve excellent, if pricey, meals and drinks.